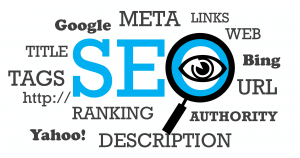 SEO (search engine optimization) is a buzzword in the digital marketing world. If you have a website, social presence, or have a business, you’ve probably heard of SEO. If you have not yet started leveraging the power of SEO to increase sales and business exposure, you are missing out! Make no mistake – SEO optimization is not a magic wand that instantly transforms your search engine ranking – it takes time. With proper SEO strategy you can reach the coveted first page on Google and be seen by far more people than would have otherwise discovered you. How Does On-Page SEO Work? Many customers know they want to optimize their SEO but they are not sure how to do so. Of course, there are many different factors that contribute to improved search engine ranking and many different strategies for improvement. Thus, increasing your SEO is a multi-pronged strategy that includes blogging, link building, on-page optimization, and other SEO factors. So, what does it mean to improve ‘on-page’ SEO. 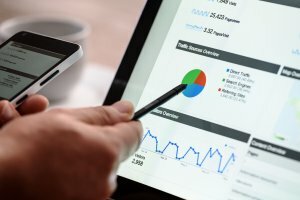 How Do You Increase On-Page SEO? Many people with perfectly acceptable websites wonder why they aren’t ranking higher in search engines? They are blogging on a regular basis and updating their site as needed. But, what they may not realize is they are missing out on a few other key factors that will dramatically impact on-page SEO. For example, if they are blogging are they blogging good content that is also presented well? Also, do they have easy-to-understand content with headings and images? Are they using meta, title and alt tags? And, are they utilizing keywords? Does their content contain internal links? Further, is their website easy to use? Does the website have visual appeal and optimal functionality? If not, on-page SEO is not being optimized strategically and thus the website is not performing in search rankings as well as it could. Work with an experienced professional that understands all aspects of on-page SEO optimization including on-page and off-page SEO so that you can increase your search engine ranking!